Today, the idea of nemesis normally equates to an arch-enemy, but another dictionary definition of the word is “an inescapable agent of someone’s downfall”, and in Greek mythology there was a goddess who represented this agent, the Greek goddess Nemesis. Nemesis is generally considered to be the daughter of the goddess Nyx (Night), something agreed upon in the Theogony (Hesiod) and Description of Greece (Pausanias) with no father normally mentioned. Occasionally a father of Nemesis is mentioned, this being Erebus (Darkness) the normal partner of Nyx. This parentage would make Nemesis an early goddess of a generation that predates Zeus and the gods of Mount Olympus, at least in the Hesiod version of the genealogy of the gods. Most sources would describe Nemesis as a beautiful maiden, often with wings to allow her to travel swiftly to where she was needed. Nemesis was the Greek goddess of Retribution and the “dispenser of dues”, but she was more than a goddess dealing with evil doers, for Nemesis also ensured that there was balance in the life of man. It was Nemesis who ensured an equal balance of happiness and sadness, as well as good and bad luck; thus nemesis would often have to deal with the consequences when Tyche, Greek goddess of Good Fortune, was too generous. Despite predating Zeus, Nemesis was often connected with the supreme deity, and it was she who was dispatched to deal with mortals who believed that they were superior to the gods. The most famous stories do not deal with the impious or those with a superiority complex, but deal instead with tales of spurned love. It was the vengeance of Nemesis who was invoked by a spurned lover of Narcissus, either a nymph or Ameinias, when the self-centred youth callously rejected them. Nemesis would ensure that Narcissus would fall in love with his own reflection in a pool, and subsequently Narcissus would waste away as he looked longingly at himself. Nemesis was also involved when the gods brought “justice” to the Naiad nymph Nicaea. A shepherd called Hymnus had fallen in love with the beautiful nymph, but wanting to remain chaste, Nicaea shot him through the heart. 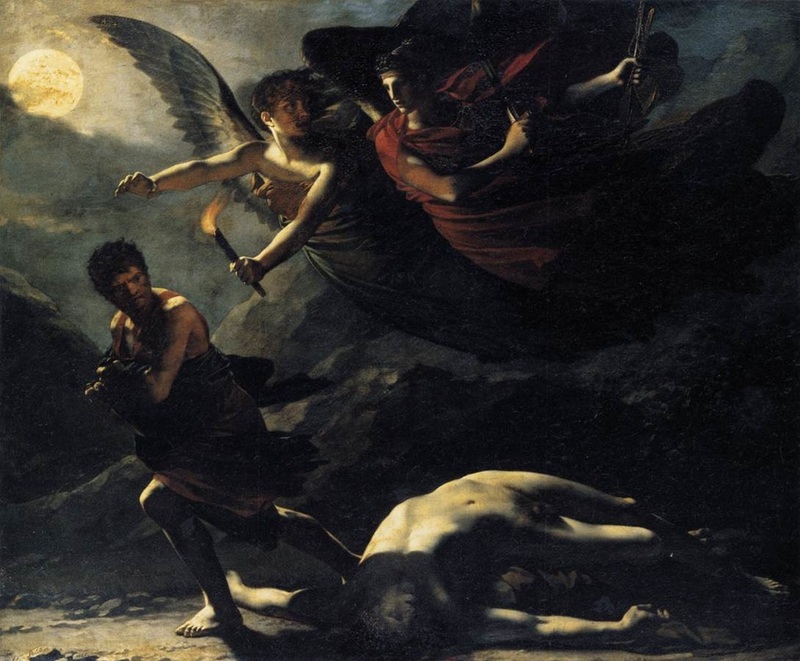 ​Such an act angered Eros especially and with the assistance of Nemesis, Hypnos and Dionysus, retribution was brought for Dionysus slept with the nymph causing her to become pregnant with Telete. It was commonly said that Nemesis herself had no offspring, although occasionally the Greek goddess was named as the mother of the Telechine by Tartarus. The Telechine were master metalworkers in legend but were more commonly thought of as children of Gaia, either by Pontus or Ouranos. Some ancient sources also claim that the famous Helen of Greek mythology was a daughter of Nemesis born when Nemesis took the form of a swan with which Zeus mated. The result was an egg which Leda subsequently found and nurtured, though of course, Helen is more commonly thought of as a daughter of Zeus and Leda.